DC5 Link, AC Adapters for Pedal from Cioks in the Pro Link series. 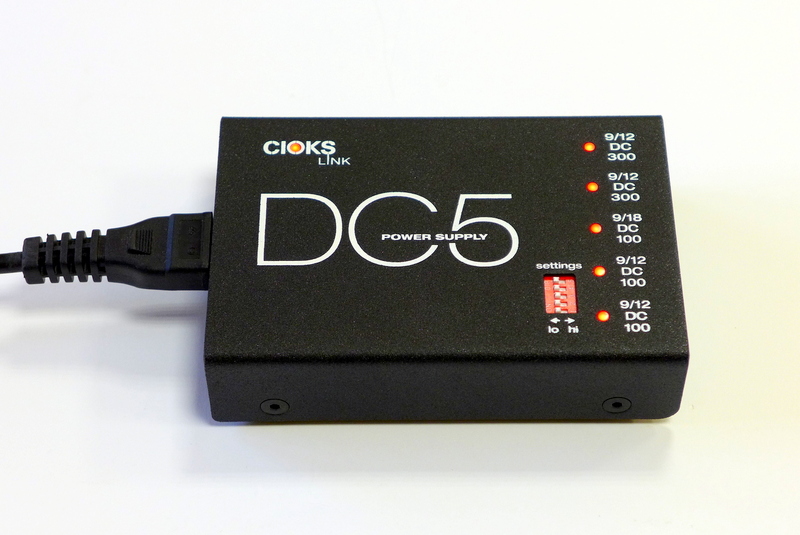 Pedalboard users can now discover the new Cioks DC5 Link compact power adapter. 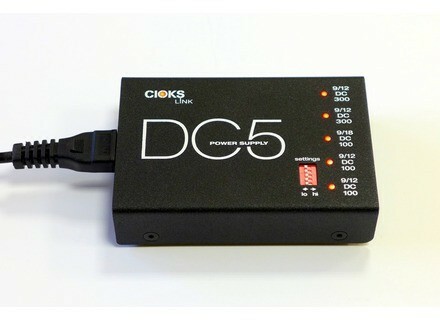 EU price of this new Cioks DC5 Link is 178 €, more info at www.cioks.com. DV Mark Multiamp firmware update and new pedaboard Italian manufacturer DV Mark has released firmware v4 for its Multiamp series and launched a MIDI pedalboard to remotely control these amps. Carl Martin introduces the Octa-Switch mkIII Carl Martin’s Octa-Switch effect loop switcher is now available in a more compact mkIII version. Celestial Effects under the sign of Sagittarius Celestial Effects completes its effect zodiac with the Sagittarius discrete overdrive and boost pedal for guitar.